I've thought I have to plant more perennials in my garden. Every year I spend much time growing annual flower seedlings. Not only time but I have to buy new soil, seeds, in spring all my windowsills are full of boxes of greenery. So I decided to plant more perennials, maybe I'd grow them from seed or purchase seedlings in a garden center or a nursery. I show you what I've selected, perhaps you could advise me to add more hardy perennials you have experience in growing. When I traveled I saw these plants and I took pictures. I'm not sure I named rightly the species. What is your advice?, are they easy in growing? What could you add to my list? Today it was an explosion in our St. Petersburg metro (tube) in the tunnel between the stations. This is a tragedy for the families of the dead and the wounded, not guilty of anything. Fortunately, my family and I are safe, and I very much sympathize victims and their families. I am very bad at names, Nadezda. Your photos are beautiful! The Snowberry and Geranium are really impressing me. 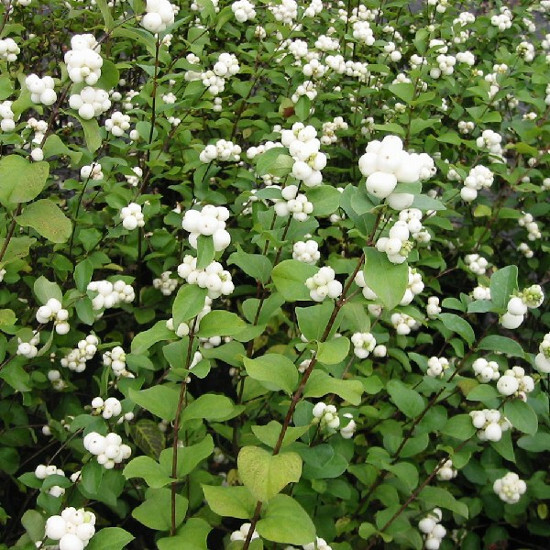 I liked snowberry bush as well Endah. Hope it's enough hardy in our zone. Good idea to plant more perennials. Will save you time and money! I love your choice of colours and foliage. Maybe nepeta and sedum would be good as well. The climate there is very different from where I live and I'm not sure if these would be okay. Thank you Betty for your advice. I found 'nepeta' in Garden wiki, it said: 'In winters it can freeze, but it is easily restored, because it provides a rich self-sowing'. I think I should add nepeta to my list. Good choices, Nadezda! The artemesia is one that doesn't last too long for me, however. I don't know what works in your zone, but Penstemons are great for the pollinators, too. Perennial Salvias are also easy to grow and a favorite of the bees. Thank for your advice Rose. I decided to buy Salvia nemorosa because it is hardy perennial and winters well here in zone 5a. I think its red flowers go well to other plants. Thanks for stopping by, Nurdan! Las plantas son preciosas. Feliz semana. You're right Anne, snowberry bush is a high decorative plant. I decided to plant some bushes as a hedgerow too. Geranium goes in different colors, I've found the dark red one on a garden center site. Thank you! I do not know all the plants. Have a nice week, Lucja, thank you! It is very, very sorry that people killed in the assassination of the subway. I feel sorry for the families. * Nice plants you chose, but watch out for the last one, because it easily spread throughout the garden. Regards. Does Stachys spread everywhere? I liked it, the leaves are soft and of nice silver color. I sympathize the people damaged yesterday as well Giga. Thank you! Glad you liked my choice, Basia. Yes, penstemon is not hardy in our zone Hetty. I've found out it grows here as annual. Sadly, is so pretty. I do not know your plants but I admire all of them! I've just heard about this horrible tragedy in the subway! I am sorry for the families of the victims! Yes, Ela, it's a tragedy for the people. Thank you! Me alegro de que toda su familia y usted estén bien. Ha sido horrible el atentado. Un abrazo. Gracias, Tania, por su atencion! Thanks Judy for your advice, I am really interested in Coreopsis and Eryngium.I have no them at all. I've read they both winter well without covering. It's great, what I want. I want to grow some perennials as cut flowers so I am also researching which types to grow. Good luck, Sue. I know you have many flowers and experience in growing. I have heard of this tragic event on the news. I am thinking of all families of those who perished and relieved that you and your family are safe, but shocked I think. Yes, we were, Betty. It's the first explosion in subway in Saint Petersburg. It was a shock. I was saddened to hear the news this morning about the metro tragedy in your city and immediately thought of you and hoped you were safe. Sincere sympathy to the families of the dead and wounded. Such beautiful new additions to your garden. Do you grow delphinium and peonies? Thank you Peter for your thoughts about me and family! I have never seen Snow Berry. It's so cute. Thanks for seeing my post. Dear Nadezda! My deepest condolences to you and to your lovely home city. It is terrible tragedy that took place yesterday in Sankt Petersburg. I hope you are safe and sound. On picture no 5 should be Salvia verticillata 'Purple Rain' - should do fine in our climete. I'm not sure about penstemons though. And artemisia looks doubtful, but I'm not sure. All others shoud do just fine. I would recommend all prairie perennial flowers, starting with some echinaceas. And fo course, cottage garden classics are always favorable. I also love the cottage garden style, Tistou. You have correctly named the plants, thank you. I realized that, despite on penememon and artemisia are very beautiful, they are not hardy enough and are grown here as annuals. I will plant the seeds of Echinacea, hope it will be successful. Hello dear Nadezda, I too was very sorry to hear about what happened in St. Petersburg... and so happy to hear the second bomb had been deactivated. Perennials are great. Of your candidates, I know best the geraniums. Many of them are lovely. The January 2016 (unusually harsh) killed some of my special ones. I'll see how to replace them. Yesterday we had a sunny day and the snow started to melt a little. We had warm day yesterday too, Sara, +10 C. My garden was snow free, birds were singing jolly. However spring is coming, not in hurry but really appears. I am doing the opposite. LOL! I have lots of perennials and would like more annuals. Not all Penstemon are hardy in my experience so I'd choose the variety carefully. Geraniums are wonderful. I particularly like 'Rozeanne' if you can find it. Artemisia can be invasive, so avoid varieties like 'SilverKing'. I am sure whatever you choose will be a nice addition to your garden. I agree, Jennifer, artemisia can be invasive so I chose Artemisia schmidtiana, that is pretty, although freezes in snow, but survives. Thanks for your advice! Me gustan todas Nadezda, pero no puedo aconsejarte, no sé nada de plantas y si te vendrán bien o no para tu jardín. eso sí son muy bonitas. Me gusta mucho el cambio que le has dado al blog!! Me alegro de que te gusta el nuevo diseño de mi blog, Laura. Hardy Geranium is pretty easy - just make sure they are hardy in your zone. Symphoricarpos is very easy, hard to kill. I grow Penstemon digitalis, which has white flowers. 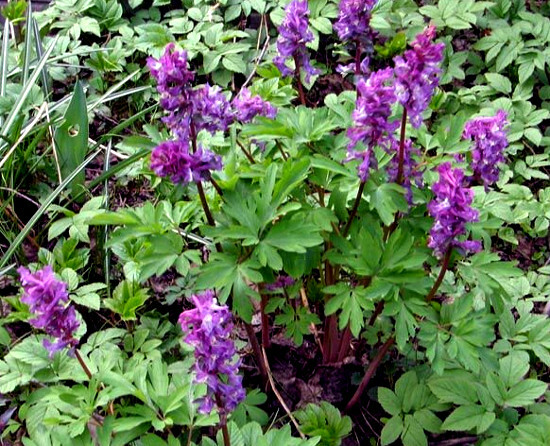 It is also a fairly easy plant. I've never known about Symphoricarpos, Jason. Now I've read about and thought I should grow it, thanks for your advice! I think Kirk salvia guaraniticas is not enough hardy for my 5a zone, Kirk. But I've seen another variety Salvia officinalis goes well to my garden. Thanks for your advice! Thank you Lucja, happy Easter to you too! Thank you very much for your beautiful wishes at my blog !! Happy Easter to you too, dear friend !! Wishing you and your family a Happy Easter! May you find joy and peace as Springtime gradually unfolds in your garden. Thank you Betty, I wish you happy Easter too!